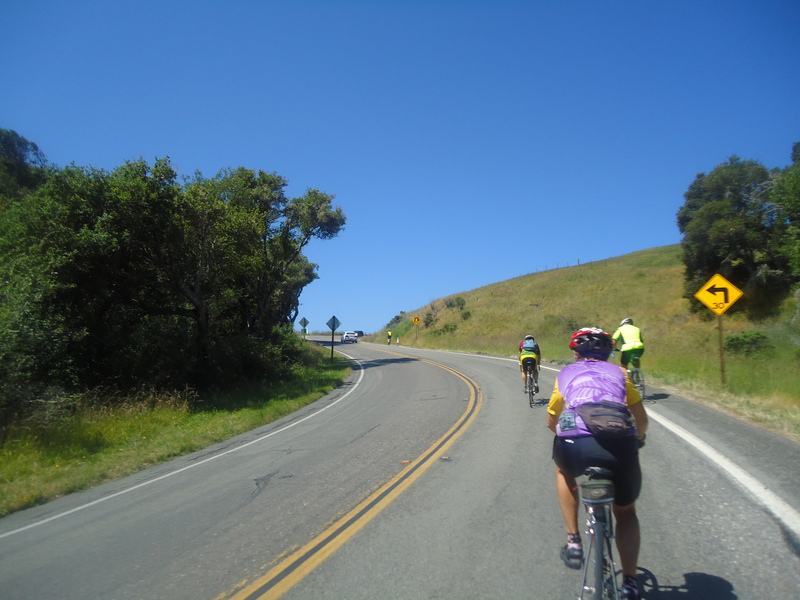 I ride out from Miller Creek Rd to meet up with the group in Nicasio for a ride out to the beach. How appropriate that is on such a nice day! 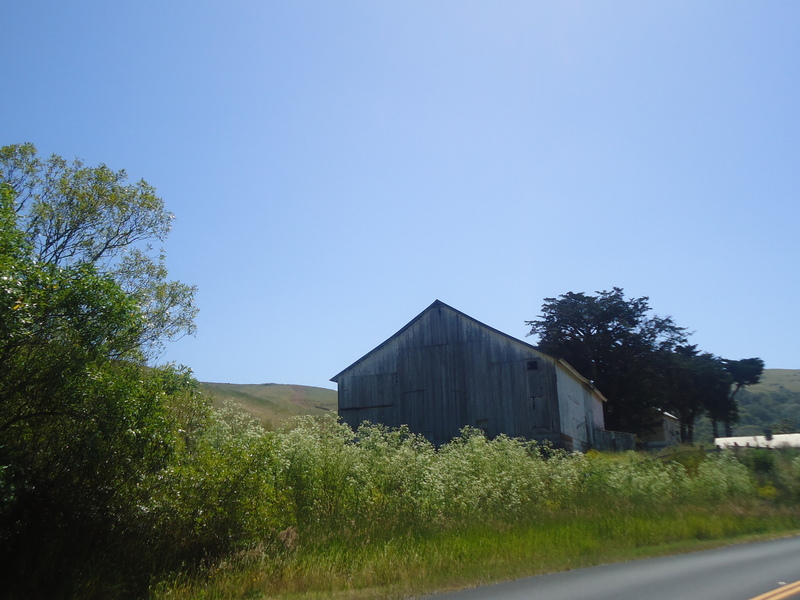 We head out on Nicasio Valley Rd to Pt Reyes-Petaluma Rd. 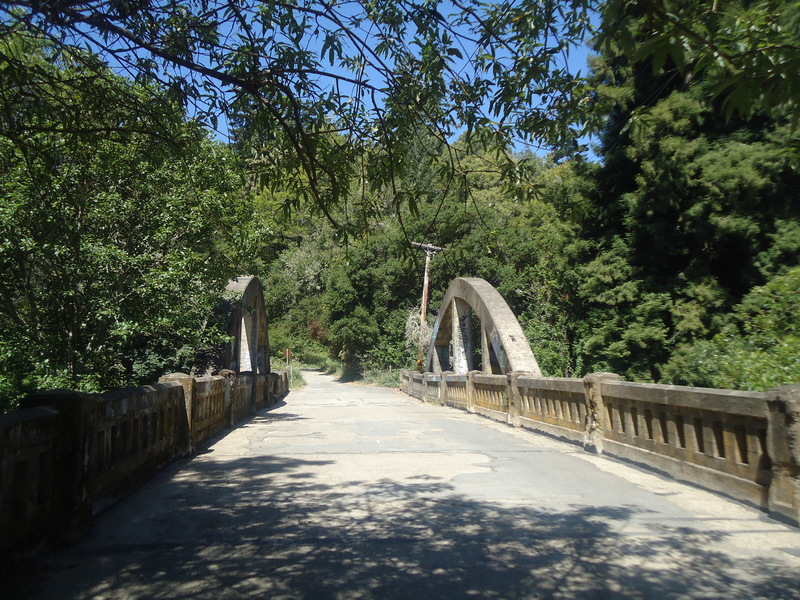 We continue on Platform Bridge Rd and I take a little shortcut across the bridge to the old road that eventually turns onto Sir Francis Drake Blvd. 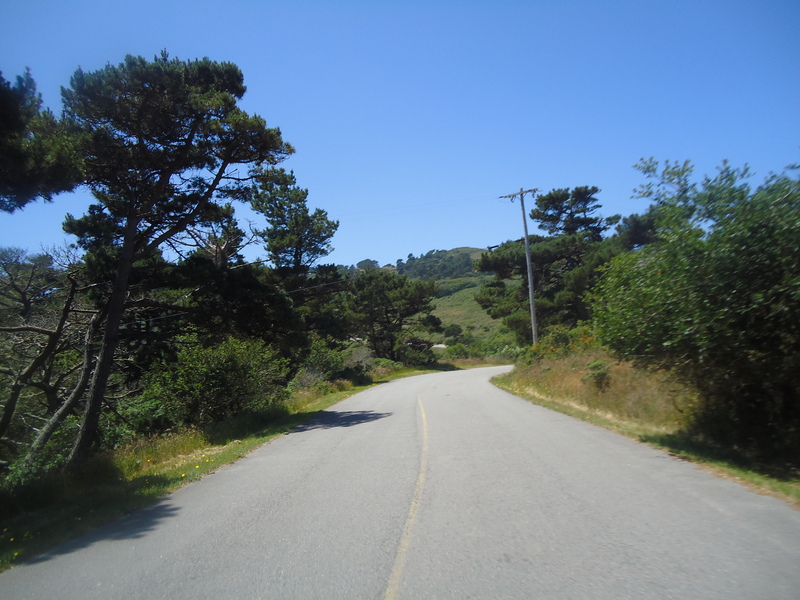 The climb up this side of Olema Hill is under a mile with a steady gradient of 7-8%. 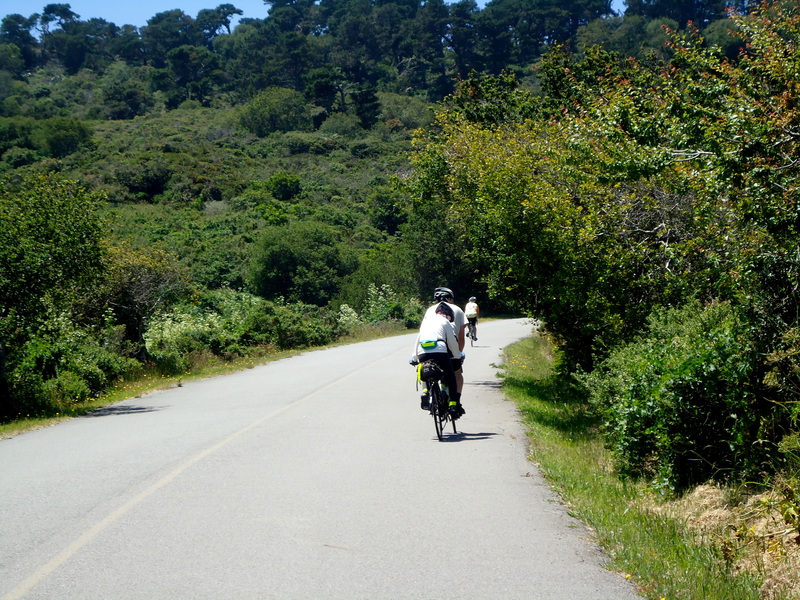 The fast descent drops us down onto Hwy 1. 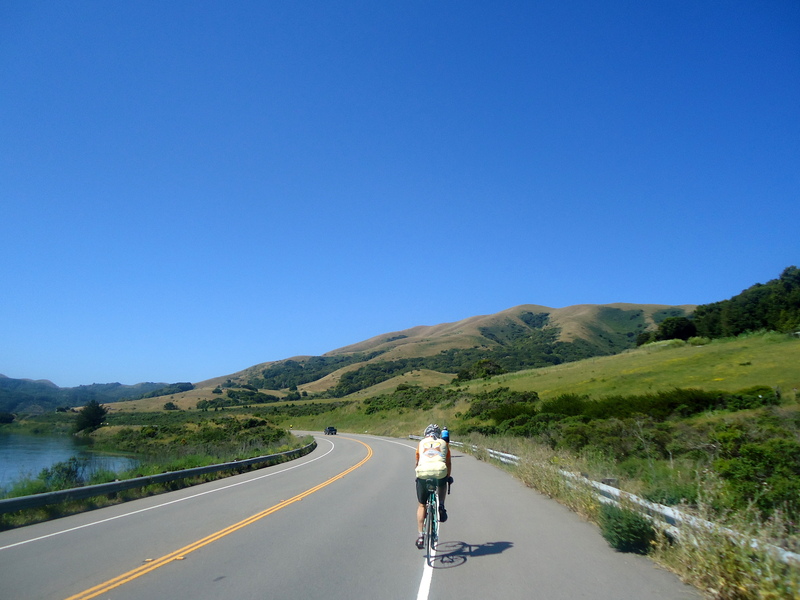 We turn on Bear Valley Rd and ride along Tomales Bay on Sir Francis Drake Blvd into Inverness. There is a brief regroup at the Inverness Store. 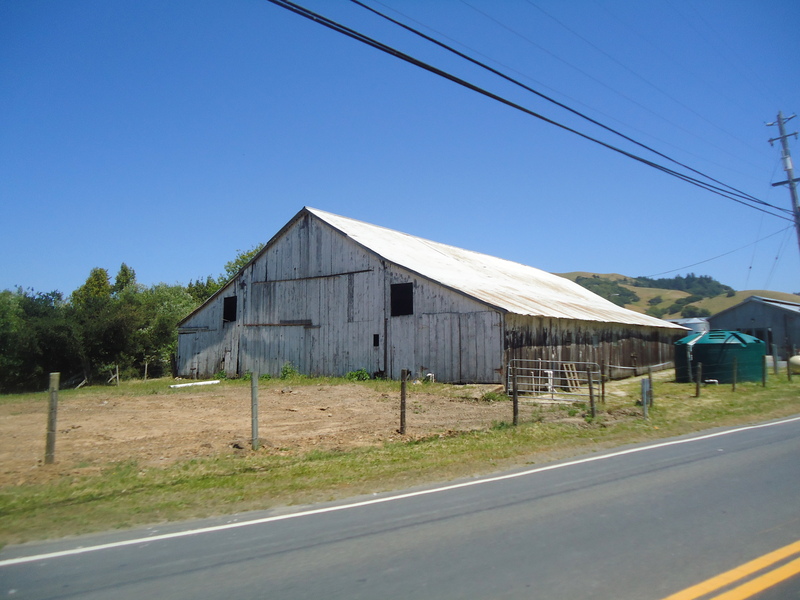 There are some fabulous views of Tomales Bay from behind the store. 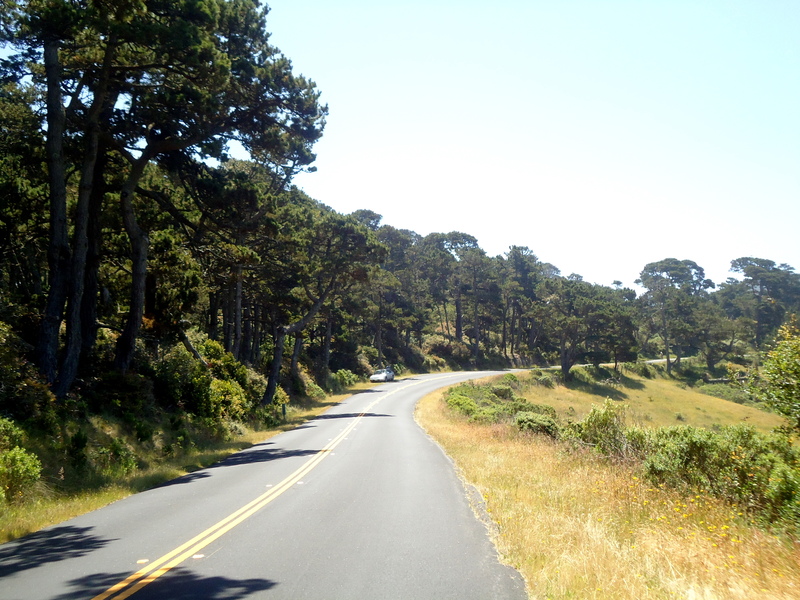 We continue west on Sir Francis Drake Blvdfor the short climb up Inverness Hill. The gradient ranges from 9-11% and maxes out at 13%! 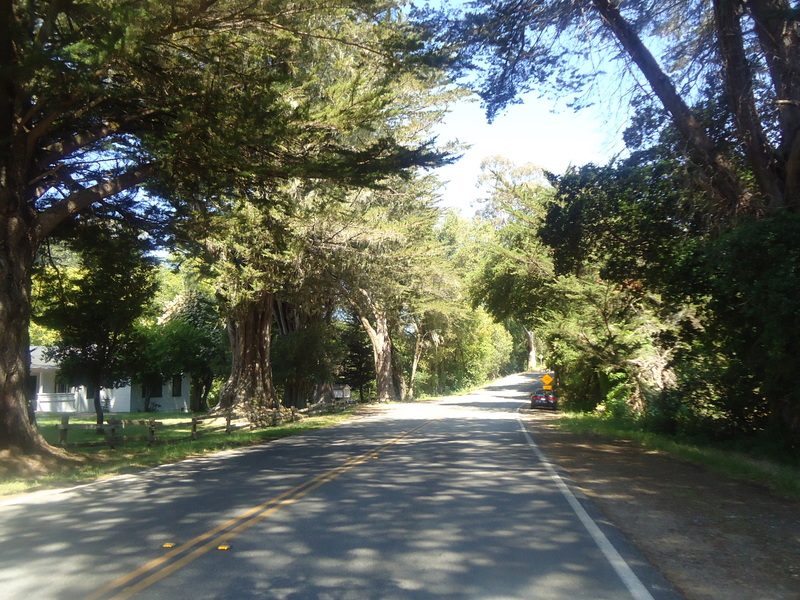 Be sure to make the right turn at the Y intersection to Pierce Point Rd. 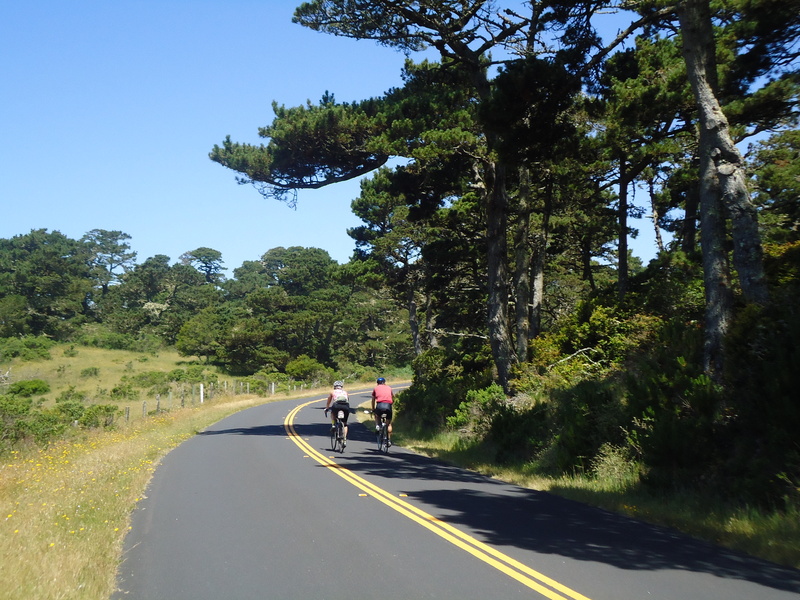 If not, you’ll end up riding miles and miles on Sir Francis Drake Blvd towards Drake Beach and or the Lighthouse. 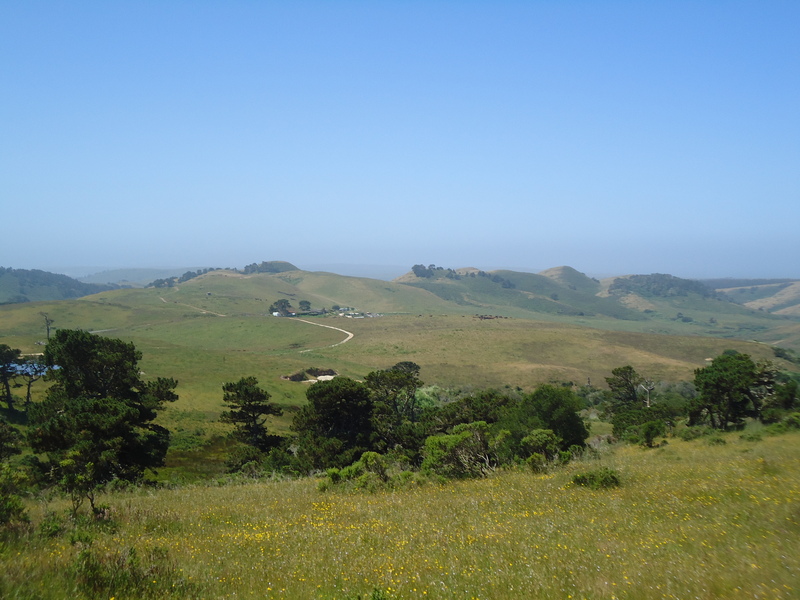 There are a few short climbs before we turn into Tomales Bay State Park to Heart’s Desire Beach. The views along the Inverness ridge are quite spectacular! The winds picked up a bit on the climb up and down into the beach. 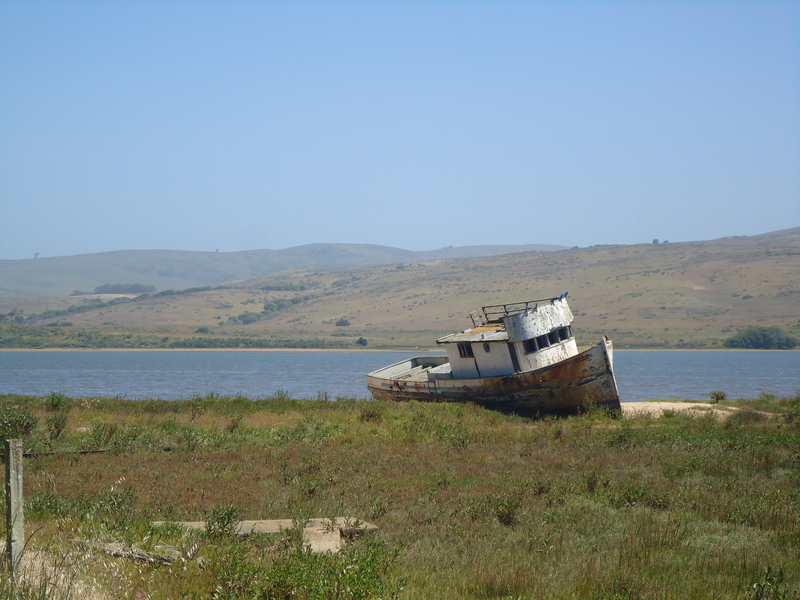 Heart’s Desire Beach is a sheltered cove on Tomales Bay. School is out and there are plenty of families hanging out and having a great time. 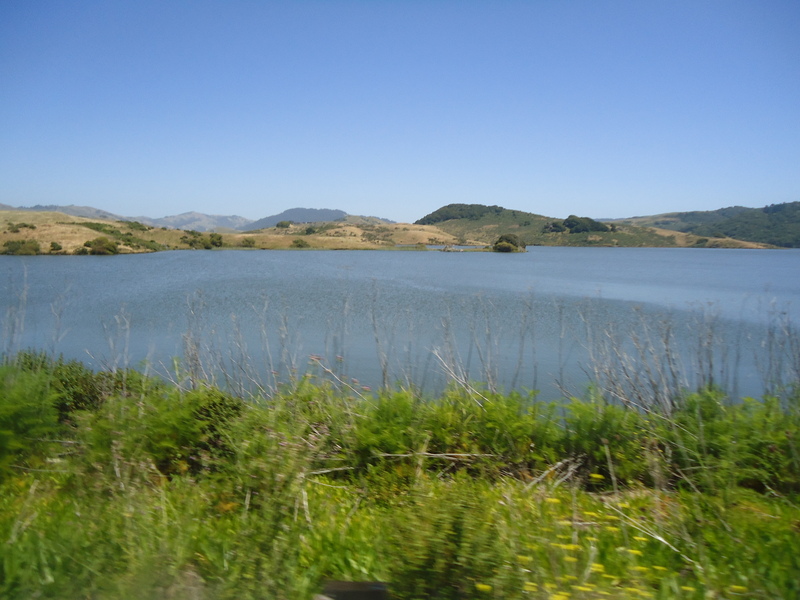 The weather was fabulous; sunny and warm! 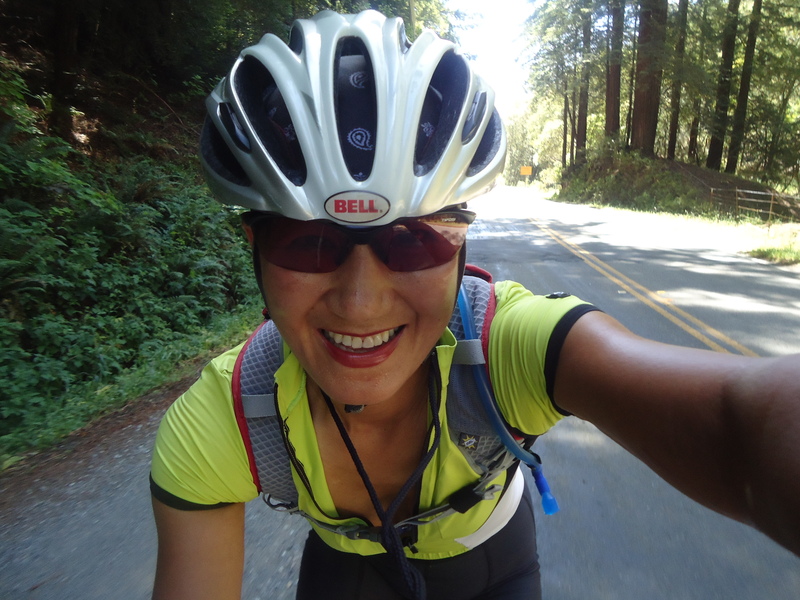 The initial climb out from the parking lot to the ranger station is the steepest; it’s a steady 12%. 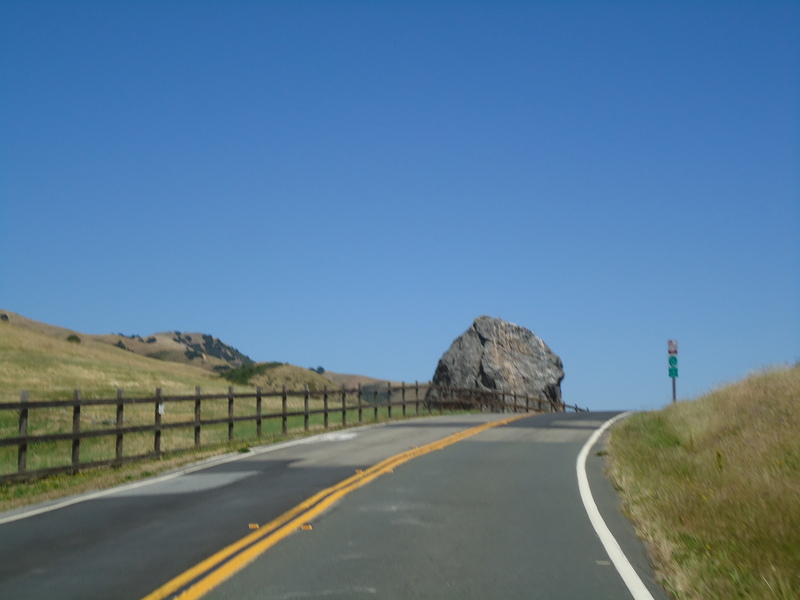 Thereafter, it eases up to about 5-6% back to Pierce Point Rd. 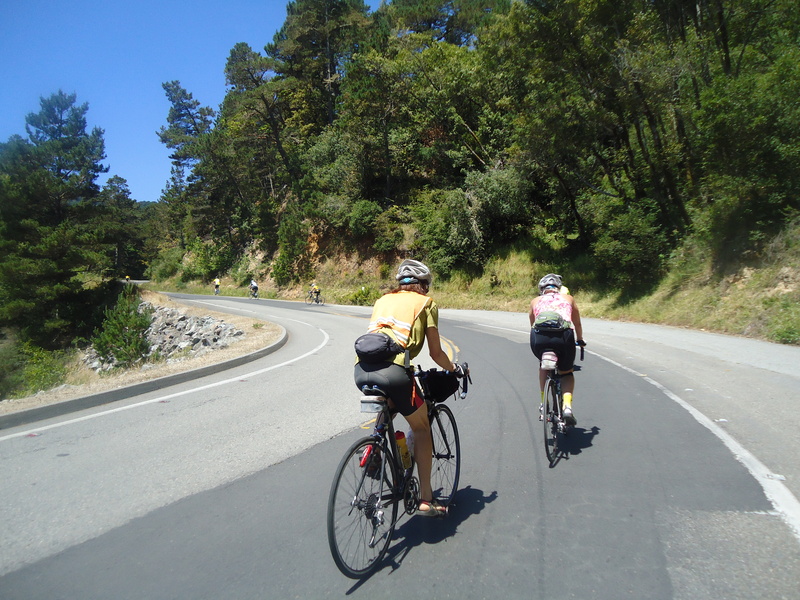 The descent on Inverness Hill has been greatly improved; all the potholes and cracks have been paved over! Yes, taxpayers’ dollars at work that we can actually see! 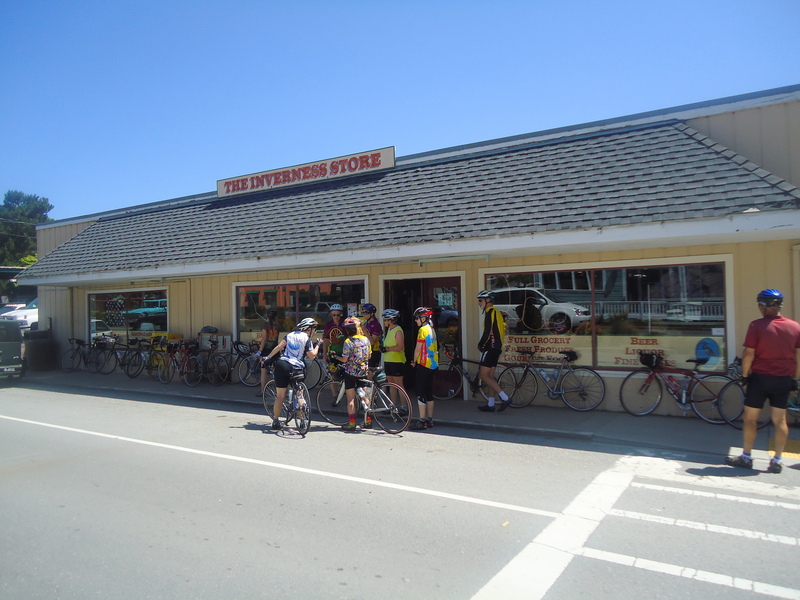 There is also the mandatory stop at the Bovine Bakery at Point ReyesStation. 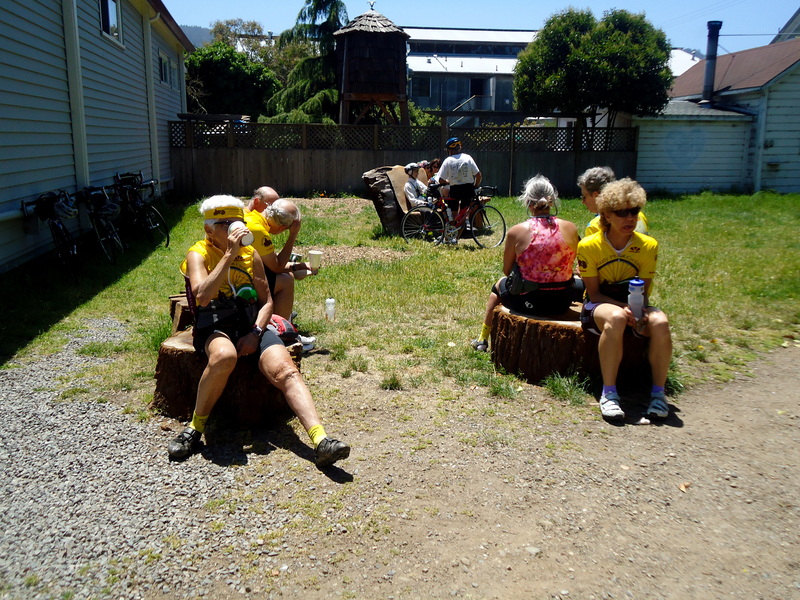 The community has provided more tree stump seating and a really nice carved wooden bench for public use out in the open grassy area. The phone booth is gone! 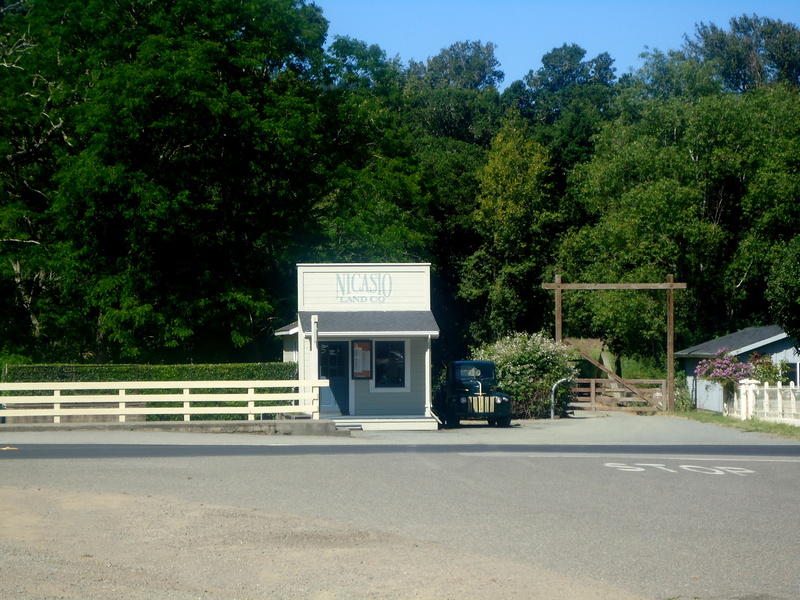 We return to Nicasio via Pt Reyes-Petaluma Rd and ride pass the reservoir and turn on Nicasio Valley Rd. 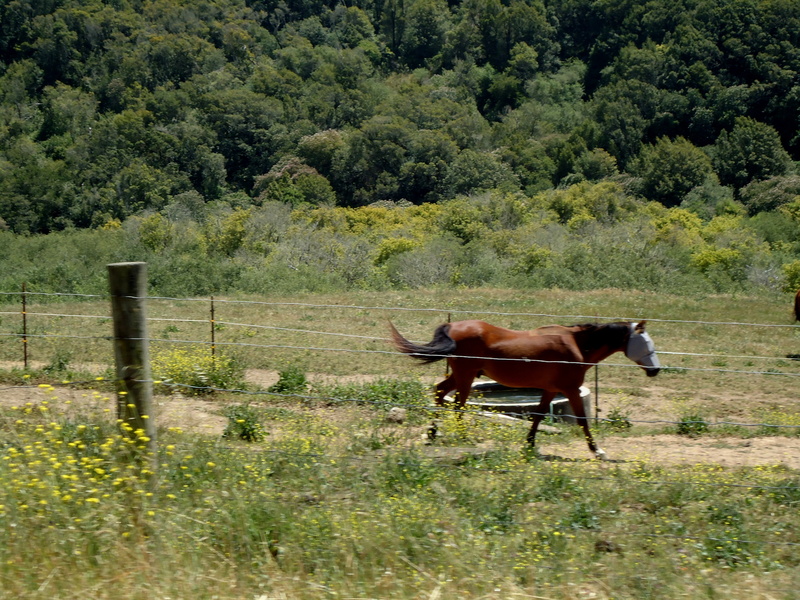 I continue on Lucas Valley Rd back to Miller Creek Rd. 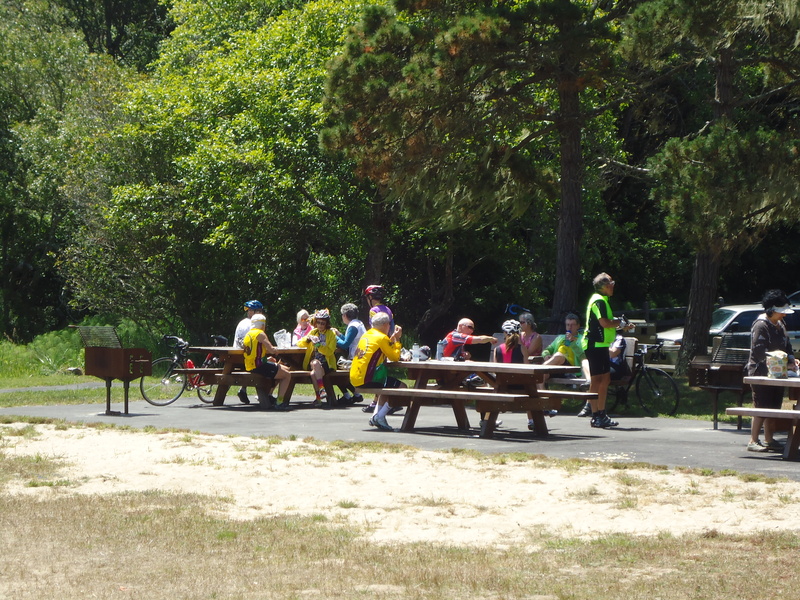 Riding in the shade along the enchanted forest is a great end to a wonderful ride. 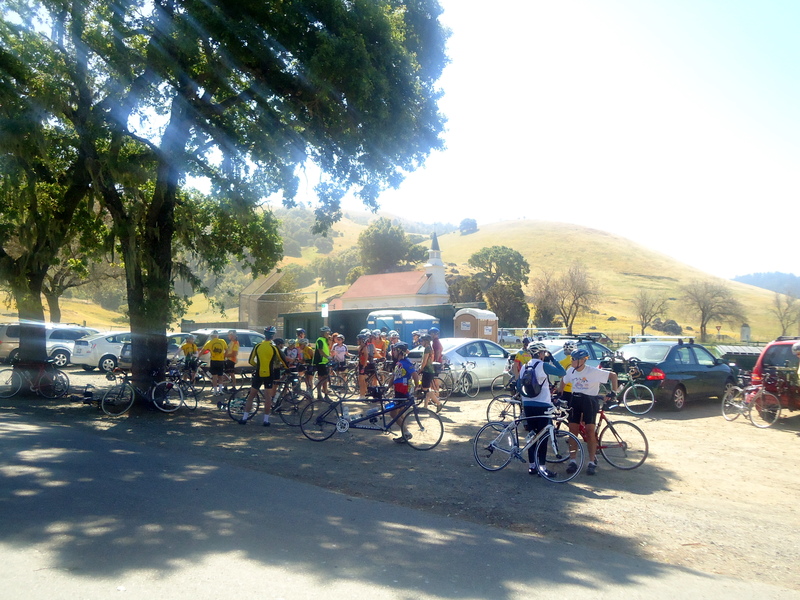 Thanks to Joan and Deb for leading the ride! 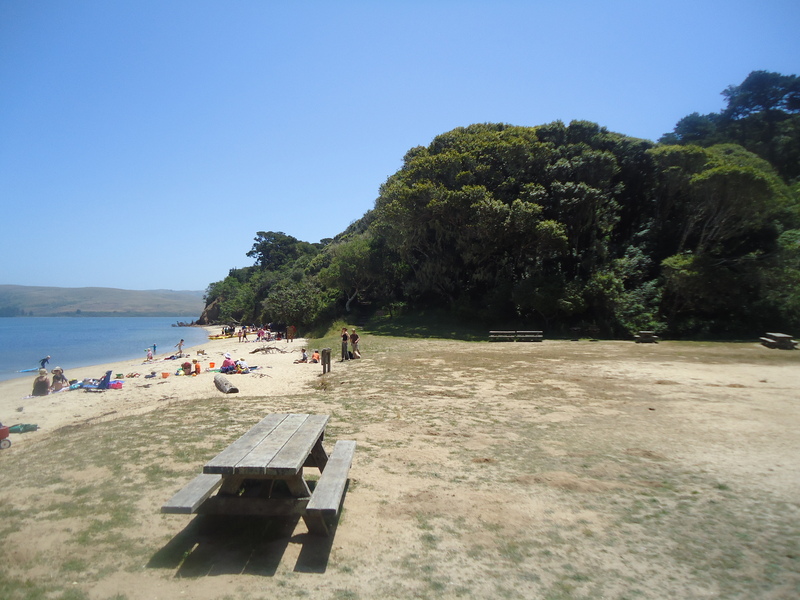 It was a huge turnout for this play date out to the beach. Weather: Super! Brilliant blue skies with plenty of sunshine and afternoon winds. Temps ranged from the low 70’s to the high 80’s. Thanks, Nancy. 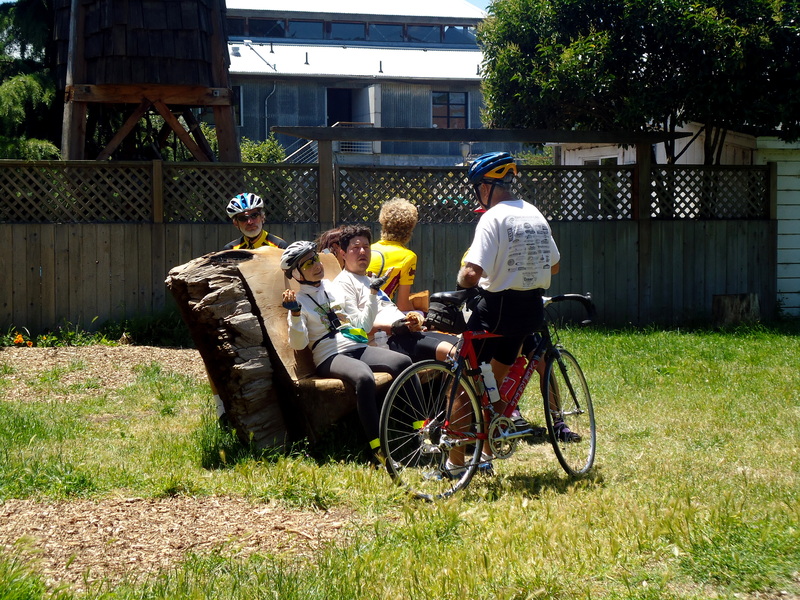 As usual, a well photographed journal of the ride. Beautiful ride. 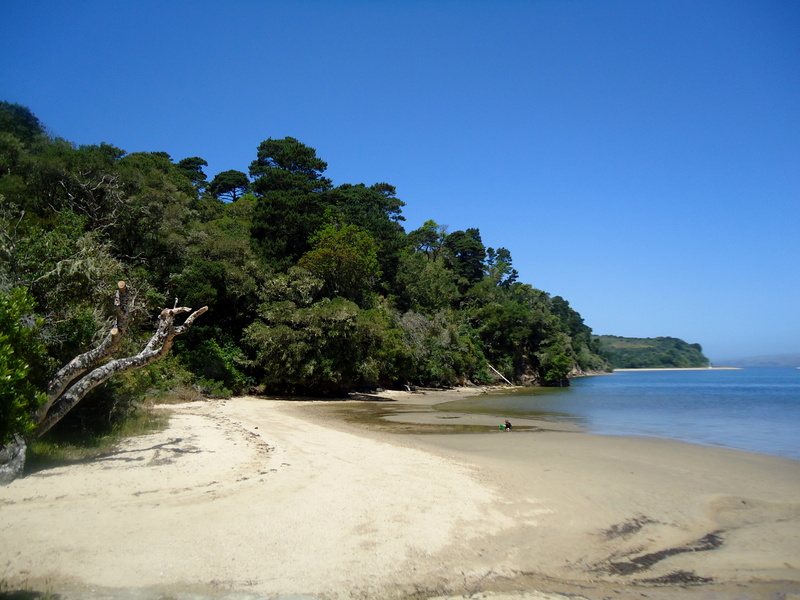 I haven't ridden out to Heart's Desire beach in years and the photos bring back memories.